Dr. Stephen Levin believes and emphasizes that healthy feet promote overall orthopedic health. Many patients with foot pain also complain of back, neck, and even headache pain. The feet are the foundation that supports the weight of our entire body. And, poor foot posture can impede daily activities. Dr. Levin, a native of Baltimore, Maryland, has lived in Tampa for over ten years. He earned his undergraduate degree from the University of Maryland in College Park. He furthered his education, successfully completing four years at the Pennsylvania School of Podiatric Medicine at Temple University in Philadelphia. After completing a two year medical and surgical residency at Montgomery Hospital Medical Center in Norristown, Pennsylvania, he moved to Tampa to start his practice. Dr. Levin is married to his wife Diane and has three children. They reside in New Tampa where they are proud sponsors of local school programs. New Tampa Foot & Ankle is a proud member of the Wesley Chapel Chamber of Commerce. 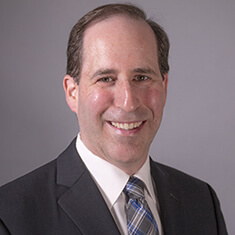 Dr. Levin is Board Certified in Foot Surgery by the American Board of Podiatric Surgery, and he is currently Immediate Past President of the Florida Podiatric Medical Association (FPMA). Prior to his service on the state association board, he served as President of the Hillsborough County Podiatric Medical Association, a post he has held for ten years. Notably, Dr. Levin was selected as Young Practitioner of the Year (2005) by the Florida Podiatric Medical Association. He is on staff at Florida Hospital Tampa, Wesley Chapel Medical Center, St. Joseph’s Hospital, St. Joseph's Hospital North, Tampa General, New Tampa Surgery Center, and Ambulatory Surgery Center. Dr. Brendan Barrett graduated from Youngstown State University in Youngstown, Ohio in 2008 with a BS in Biology, followed by Podiatry school in 2009 at Kent State University College of Podiatric Medicine in Cleveland, Ohio. 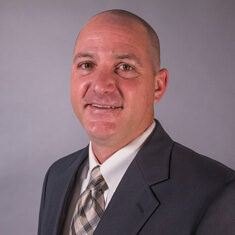 Upon graduating in 2013, Dr. Barrett completed a three-year Medical and Surgical residency at the Bay Pines VA Hospital in St. Petersburg, Florida and The James A. Haley VA hospital in Tampa, Florida. Dr. Barrett resides in New Tampa with his wife of 10 years and their two dogs. In addition to medical conditions and disorders of the foot, Dr. Barrett has experience in both forefoot and rear foot complexities and surgeries and is accepting new patients as part of the New Tampa Foot & Ankle team of physicians. Diane graduated from the University of South Florida with a Bachelor of Arts in English, Professional and Technical Writing in August 1994. She later earned her Bachelor of Science in Nursing from Medical College of Georgia in Athens, Georgia in May 2002. She's been active in the New Tampa community as a volunteer and board member in several organizations: GFWC (Greater Federation of Women's Clubs) New Tampa Junior Woman's Club and Cub Scout Pack #280 Pack Comittee, BSA Troop #148, and PTSA (Parent, Teacher, Student Association). She is the proud wife and mother of three children. Outside of the office, she can commonly be seen at gymnastics practices and various school functions.